Got a big match coming up? Or perhaps you’re just heading to the gym? You may be tempted to reach for a sports drink. After all, we’re told proper hydration is crucial – and these drinks are “scientifically proven” to help anyone “serious about their performance”. Still not sold? Brands such as Powerade and Gatorade are official suppliers to some of the world’s most famous sports teams and elite athletes. If it’s good enough for the All Blacks, surely it’s good enough for you? Sports drinks are designed to replace fluids, carbohydrates and electrolytes. Typically, they have three basic ingredients: water, sugar and sodium. Sports drink manufacturers say it’s the carbohydrates in their drinks that deliver energy to active muscles. The main carbohydrate? Sugar – either sucrose (table sugar) or glucose. Powerade Mountain Blast has 45g of sugar (11tsp) per 750ml bottle. Loaded Desert Storm has 60g of sugar (15tsp) per litre bottle. By comparison, a 600ml bottle of Coca-Cola has 64g of sugar (16tsp). 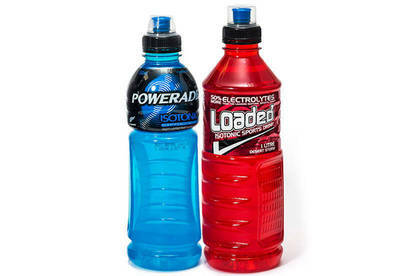 While a bottle of Powerade or Loaded isn’t as sweet, it still delivers a sizable sugar hit. Sports drink manufacturers say it’s important to replace electrolytes lost through sweat as they help you retain fluids and maintain muscle function. The most common electrolyte in sports drinks is sodium – followed by potassium. Powerade Mountain Blast has 209mg of sodium (9 percent of an adult’s maximum recommended daily intake) per 750ml bottle. Loaded Desert Storm has 433mg of sodium (18 percent of an adult’s maximum recommended daily intake) per litre bottle. Like Loaded Desert Storm, Gatorade’s Blue Bolt, Fierce Berry and Orange Ice come in litre bottles (see Sports drinks compared). 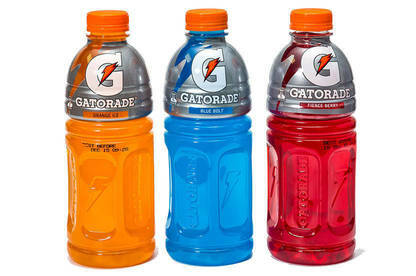 Unlike Loaded, Gatorade’s suggested serving size is 250ml rather than a litre. But if you drink an entire bottle of Gatorade Orange Ice, you’ll consume 60g of sugar and 492mg of sodium – comparable to a bottle of Loaded Desert Storm. Sports drinks are suitable for people doing endurance exercise. However, the extra kilojoules in those brightly coloured bottles might do more harm than good if you don’t exercise enough. According to the World Health Organization (WHO), we should get less than 10 percent of our daily energy from sugars added to foods and drinks – and sugars naturally present in honey, syrups, fruit juices and fruit juice concentrates. That’s about 50g or 12.5 teaspoons for an average adult. But a bottle of Powerade Mountain Blast sets you back 90 percent of this recommendation in one go. The sodium in most sports drinks may also be unnecessary. According to the Ministry of Health, an adult’s recommended daily sodium intake is 920mg to 2300mg (it’s less for young people). However, many of us are already consuming more sodium than we should. A bottle of Loaded Desert Storm gives you 433mg of sodium – almost one-fifth of the recommended upper limit. The Health Promotion Agency’s manager of nutrition and physical activity Mary-Ann Carter says most people don’t do enough intense exercise to necessitate a sports drink: “If you’re a normal, active adult who’s heading out for a bike ride – even a long bike ride on a hot day – you can drink water and eat food such as a sandwich, banana or another piece of fruit. You’ll be getting all the energy and nutrients you need.” The agency says water is the best choice before, during and after physical activities such as a gym session or a run. Sports drink manufacturers argue their products are better than water if you’re exercising. These claims are supported by scientific papers – and the drinks are endorsed by elite athletes and recommended by sports institutes. The European Food Safety Authority (EFSA) thinks some claims hold water. In 2011, an EFSA panel found evidence suggesting “carbohydrate-electrolyte solutions” enhance water absorption and maintain endurance performance. But in 2012, researchers from the University of Oxford’s Department of Primary Care Health Sciences and the BMJ (British Medical Journal) took aim at EFSA’s review of the science behind sports drinks. They questioned EFSA’s assessment process and found “worrying deficiencies” in the evidence supporting the claims. According to the researchers, none of the references cited by EFSA were systematic reviews, many studies contained small sample sizes and others weren’t representative of the wider population because the participants were young endurance athletes. EFSA stood by its findings. It said well conducted systematic reviews for health claims on food weren’t always available. However, it had based its opinion on reports from authoritative scientific bodies, which maintained carbohydrate-electrolyte solutions were beneficial for people engaged in prolonged exercise. In August 2014, Food Standards Australia New Zealand (FSANZ) called for submissions on a proposal to permit electrolyte drinks and formulated supplementary sports foods (such as whey powders) to carry health claims on their labels. Presently, isotonic electrolyte drinks (see What’s in a name?) are allowed to carry a health claim. Labelling on these drinks can state: “This product is designed to promote the availability of energy and to prevent or treat mild dehydration that may occur as a result of sustained strenuous exercise” or words to that effect. However, the proposal will allow electrolyte drinks to carry a broader range of health claims – provided they’re substantiated by the manufacturer. In addition, the drinks won’t have to meet the Nutrient Profiling Scoring Criterion (NPSC) in the Food Standards Code. The NPSC is meant to stop foods high in sugar, salt or saturated fat from carrying health claims. While industry bodies and Frucor (Gatorade) support the proposal, most health professionals who made submissions are against it. The proposal’s fate is still undecided. FSANZ told us the proposal had been delayed “due to the complexity of the issues raised” in submissions. We’re against the proposal to allow electrolyte drinks to carry health claims. These claims may be relevant to people taking part in endurance exercise. But they could mislead the wider population about the benefits of these drinks. 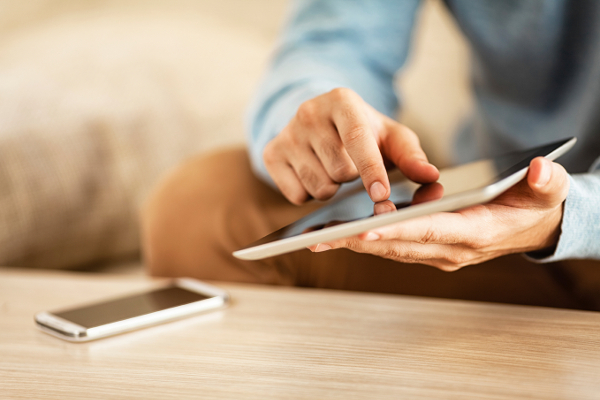 Don’t be taken in by the marketing hype. The main “carbohydrates” and “electrolytes” in sports drinks are plain-old sugar and sodium. Drinking water before, during and after exercise is sufficient for most sporting activities. Guide to the tables OUR SURVEY is based on label information. PRODUCTS are ranked within categories based on the amount of energy per serving (products with the lowest energy content are listed first). SERVING SIZE is the manufacturer’s suggested serving size. SUGAR PER SERVING can be converted from grams to teaspoons by dividing by four. Electrolyte drinks are a category of sports drink. The Food Standards Code says, per litre, they must contain: 50 to 100g of sugar (but no more than 50g of fructose) and at least 230mg of sodium. Isotonic drinks have a similar concentration of dissolved substances (in this case, sugar and sodium) as blood and cells. This concentration is specified under the code. Hypertonic drinks have a higher concentration of dissolved substances than isotonic drinks. Your body doesn’t absorb these drinks as easily. Hypotonic drinks have lesser concentrations of dissolved substances than isotonic drinks. They promise rapid rehydration. Formulated beverages are water-based flavoured drinks with added vitamins or minerals. They can’t be carbonated or caffeinated and they can’t contain more than 75g of sugar per litre.